Monica's Craft Corner: Land of the FREE! Good morning! 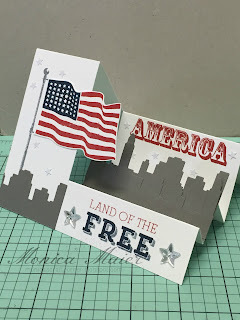 I wanted to share a card for the 4th of July before I mail it out! Since the 4th is Saturday, I'd better make it quick! 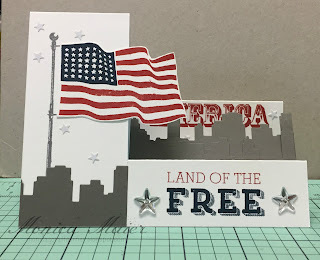 I stamped the sentiments and flag pole on the card base. 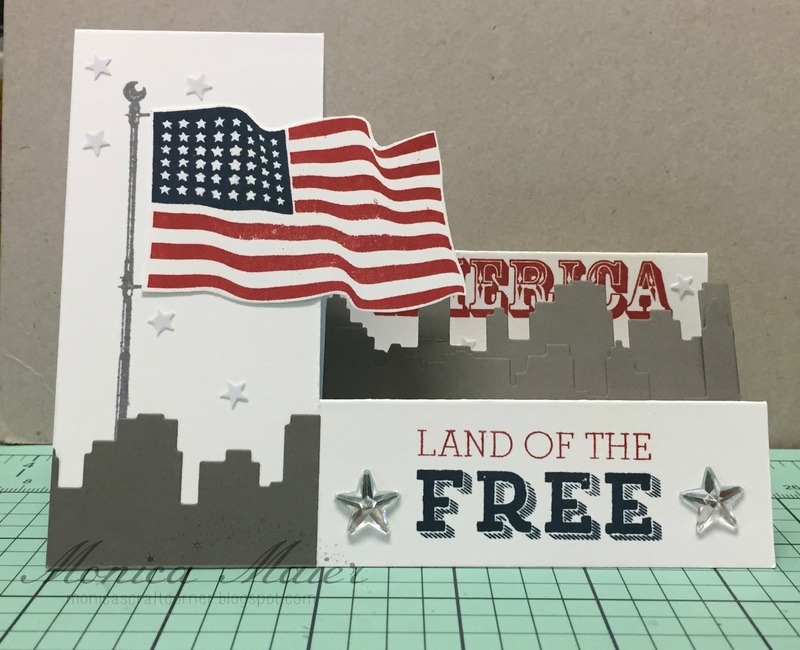 The flag was then stamped and fussy cut before adding it to the card. The cityscape was die cut out of gray. To finish the card I added some blinb stick on stars and scattered white star confetti. Hi,new teamie - looked around on your blog - you make fabulous cards!